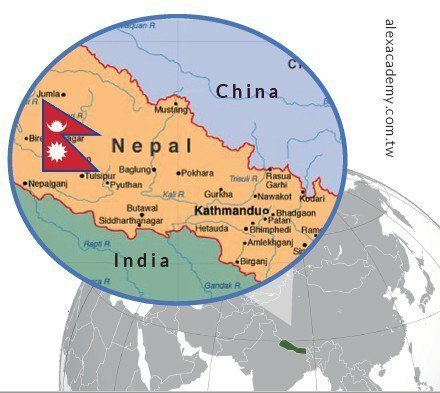 Nepal is an isolated country, a mountainous and earthquake-shaken nation. It lies between China and India, and relies heavily on funding and tourism as its only industries. The infrastructure is barely sustainable for its people. It’s what others might consider a “low country”. That’s why I went there to help. Preparing for the trip, I had to bring a water bottle that could filter the water; otherwise I could be drinking dead people’s ashes that have dissolved in my water. I had to bring countless clothes, ropes, and flashlights — it was monsoon season and electricity could be unheard of in the places I was to travel. Fast forward in time and I’m arriving in the Kathmandu airport. It’s a measly one story brick-and-mortar building that is run-down and shabby. It was too much too ask for a walkway into the airport. To exit the plane, we walked down steps onto the parking space and into the freezing night. 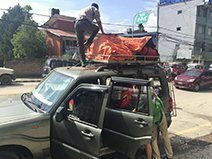 After the whole process of getting into Nepal, we loaded our baggage onto a truck. Not into a truck, onto a truck. The bags were set on top of the car, and strapped down with rope. I decided to carry my luggage. Either way, scouts like myself were glad to make it to the campsite for scouts the following day. That is, until we realized the situation wasn’t about to get any better. I will not bore you with our day to day activities that are just about scouting and earning merit badges. I will, however, discuss the best parts of it, including the ride there. As I said earlier on, the Nepalese government isn’t exactly the richest with the highest GDP. Nor is it the best. I have never been on a roller coaster before, but I can bet it feels like what I felt as our driver winded down the narrow, curved roads deep into the Himalayas. While the roads were dirt and could barely fit a car, the thing they lacked most was drainage. Our car was lucky enough to never get stuck amidst the mud and puddles, but others weren’t quite so fortunate. Even so, it quite a heck of a ride, with ups and downs and twists and turns. Another memorable piece of this story were the leeches. Nearly a myth in Taiwan, they were a part of everyday life in Nepal. Our leader, Jimmy, got five in just an hour. Again, I had a stroke of luck. Through the trip, I had one leech. The bad news was, I didn’t notice until my friend had chopped up a bloated leech on the ground which was mine. It had bit me while I was in shorts in my tent, and afterwards, I was wearing long pants, making it hard to see. Perhaps the worst of all, our tent was leaky. My tent mates and I slept in a puddle that was an inch deep. I had an inflatable mattress, but everything I owned was soggy. On top of all that, the food was too spicy for me to eat. I lived off of the snacks I had brought. Needless to say, I was glad to be leaving the camp to help build a house and to live in a hotel with a bed. And it was after the camp that my experience truly began. 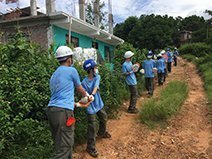 In the searing heat away from the mountain — as opposed the rain in days before — our scout troop went to work. Lugging stones, making cement, we worked for the following days with barely any shade or rest. As a younger scout, I was entrusted with an easier job of carrying rocks and shoveling gravel, while others worked on flattening the ground and splitting rocks with a sledgehammer. By the end of the day, we were tired, exhausted, weary, and ready to sleep. The following day, it was the same. And again. And again. 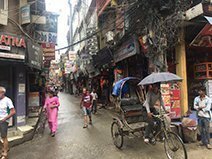 The last day, however, was for the troop to explore Kathmandu. On our way there, back down the puddles and mud, we scraped another car through because of the mirrors on the side and the narrow road. Everyone gasped and envisioned the troubles and delays it would cause with both drivers yelling at one another that would happen in Taiwan. And yet just as our driver was about to apologize, the other spoke first. “It’s fine! Keep moving!” he said in heavily accented English, then backed out of the drive. After we got to Kathmandu, we visited the Pashupatinath Temple. This was a sacred Hindu temple and crematorium. As we looked upon the river where the ashes of people were swept, we didn’t merely see a muddy dark river. We saw a lively, vibrant culture. To these people, death was a celebration, not a mourning — it was about moving on.For example,we saw the funeral of a man with three sons. First, the sons got in a line from eldest to youngest. The eldest held a torch. Then, they walked around the body three times, for the three main deities, then lit a fire at the dead man’s mouth. The ritual lasted only for minutes, but what followed would be weeks in the temple, which even we were not allowed into. As we walked around the site, we saw holy men, who wore makeup we had never seen, and wore white pants that barely did their job. We also saw cows and people praying. When we boarded the plane to leave, I was sad. Nepal, contrary to what I originally thought, wasn’t just a poor country in need of help. It was a community that, because of it’s isolation, was happy without desire, and had a culture unparalleled by anywhere else I had ever seen.